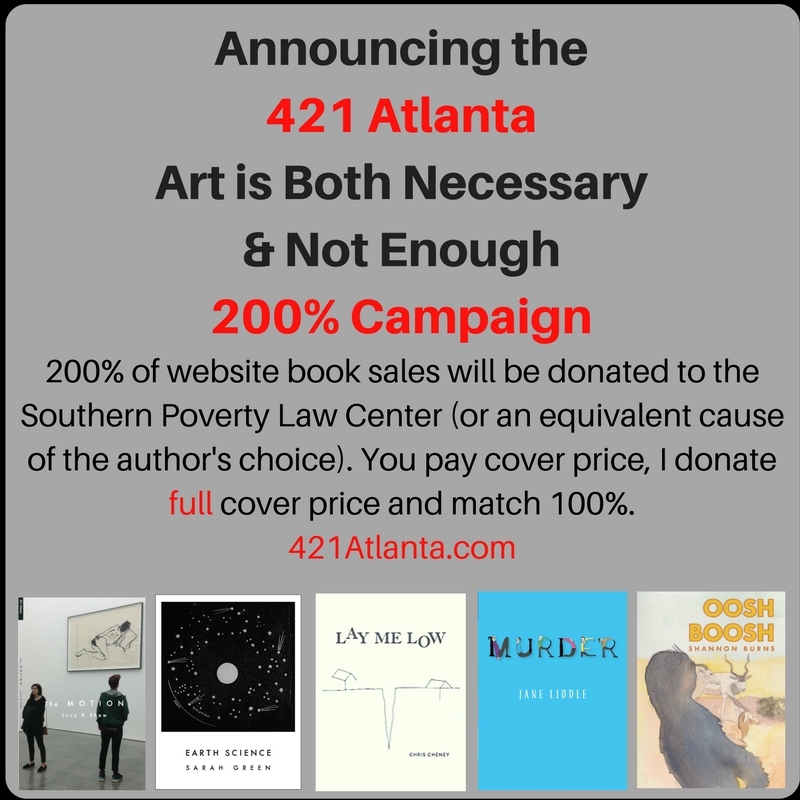 When you buy a book on 421Atlanta.com, 200% of the cover price will be donated to the Southern Poverty Law Center (or an equivalent cause of the author’s choice). In other words, all the money you spend at 421Atlanta.com (minus shipping) will be doubled and donated to SPLC. From the SPLC website: The SPLC is dedicated to fighting hate and bigotry and to seeking justice for the most vulnerable members of our society. Using litigation, education, and other forms of advocacy, the SPLC works toward the day when the ideals of equal justice and equal opportunity will be a reality. Why? Because, right now, we can’t afford to give just 100%.